Special thanks: Judie Collins, David Eastwood, Keith Oulton and Sue Nichols. 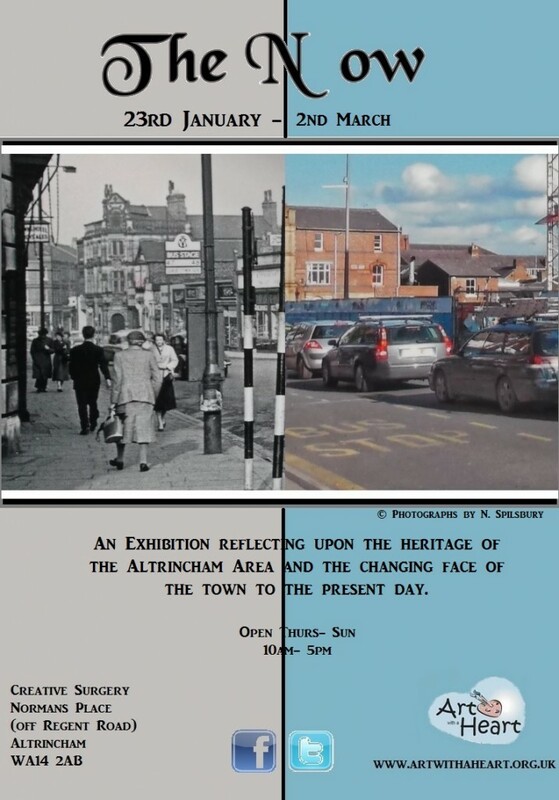 Art with a heart presents The N ow; an exhibition reflecting upon the heritage of Altrincham and the changes it has undergone. Now 2014 has begun, it is time to reflect and reminisce over the years passed and the year to come. There are a lot of changes occurring within Altrincham with the introduction of the new hospital, the improvement work occurring at the interchange and the plans to regenerate the local market but whilst we’re in this state of intermission it is important to reflect upon how the town has grown to be the place it is today. The N ow is an exhibition that demonstrates the history of Altrincham whilst showing the changing face of the town to the present day. 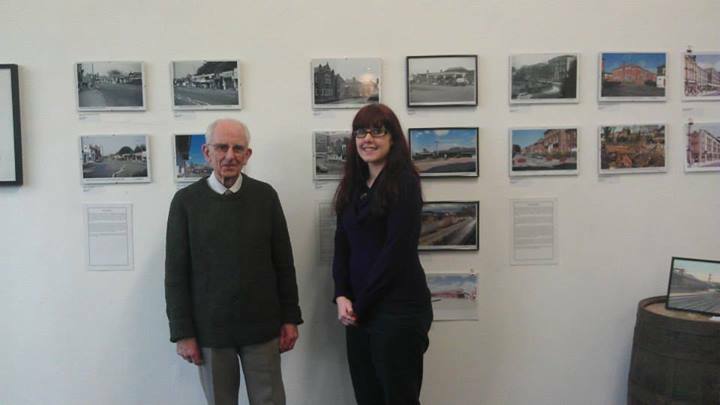 Featuring the work of local artists that capture the ever changing face of Trafford and provide a sharp contrast of how the area used to look and how it has altered, raising the question of whether this change if for the better or has something of our personal heritage and history been lost? Encouraging people to utilise the books in the heritage area by providing page references alongside the work for more information about that area.